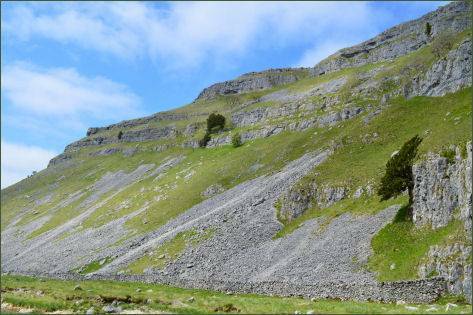 Dramatic Gordale Scar is a limestone ravine located around 1 mile northeast of of the village of Malham in the Yorkshire Dales National Park. 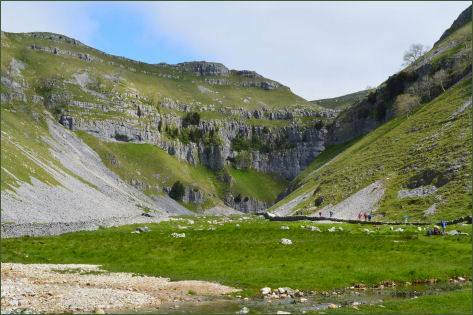 The area around Gordale and nearby Malham Cove is the most visited area in the entire national park. 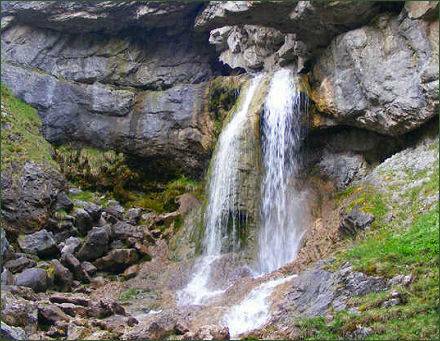 The ravine contains two waterfalls and has overhanging limestone cliffs which soar to over 100 metres high. The gorge may have been formed by water from melting glaciers or the collapse of a cave. 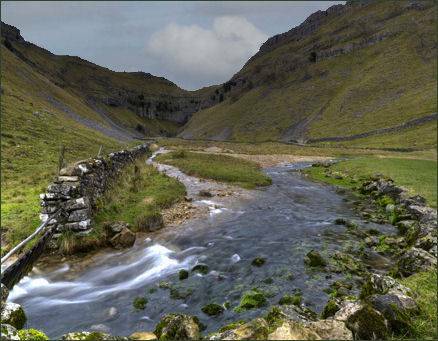 Gordale Beck tumbles over waterfalls through gorge then flows on to the Janet's Foss waterfall before joining Malham Beck two miles downstream to form the River Aire. Limestone and Tufa are features of the Scar. 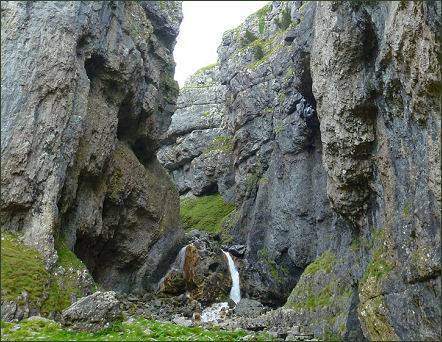 Tufa forms on the limestone rocks and is caused by calcium carbonate rich water precipitation. 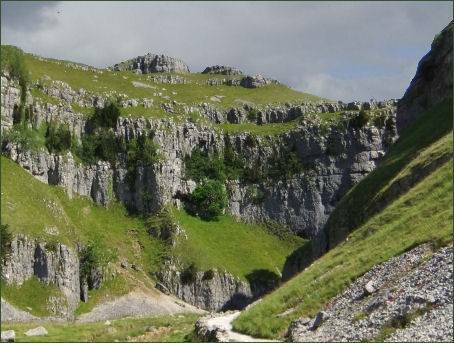 The poet William Wordsworth visited Gordale Scar and wrote in the sonnet Gordale, "let thy feet repair to Gordale chasm, terrific as the lair where the young lions couch". It was painted by the landscape artist J. M. W. Turner in 1816.